Sixties mania! | More blue fabric? 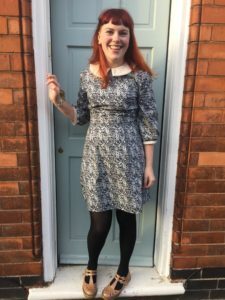 The body of the dress is made using an adorable navy floral print cotton poplin that was very kindly supplied by Abakhan for this make. The collar also came from Abakhan and is a super soft cream coloured viscose. 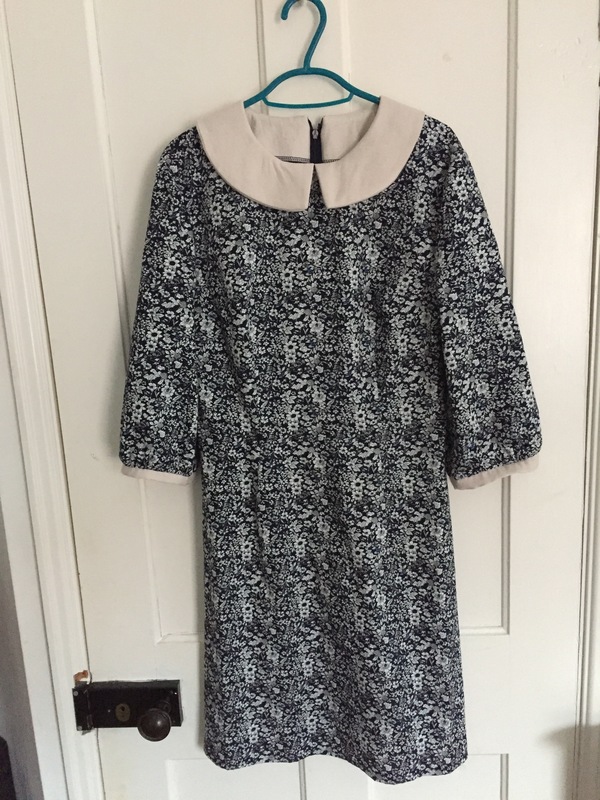 The Simple Sew Trudy dress in view B. 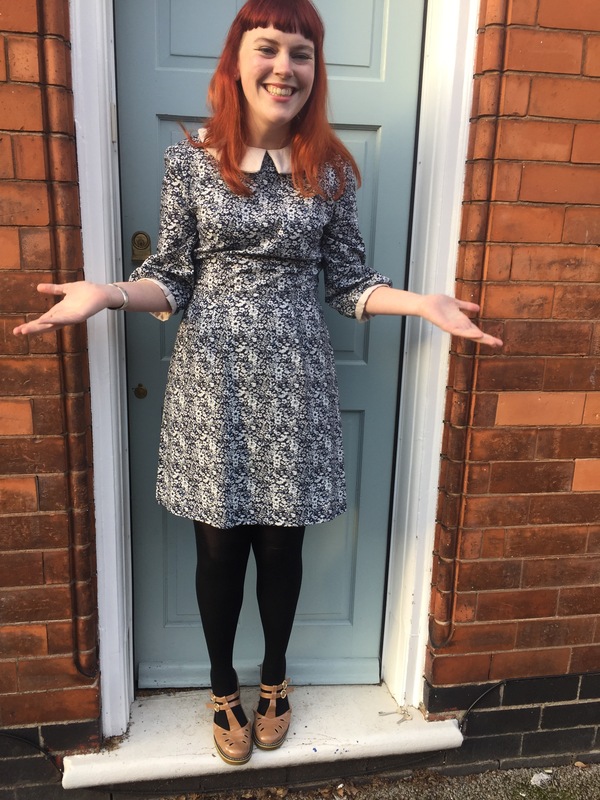 The first thing to say is that this dress was super easy to sew up. I made a toile first to check for bust fit after the issues I had with Ruby, and once I’d made some minor adjustments it went up in hardly any time. 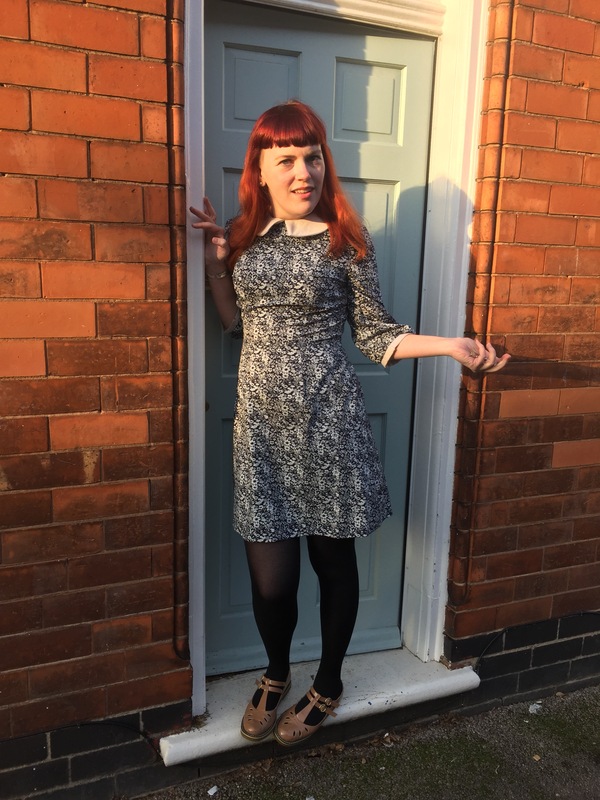 In addition, although I’m not sure if good is the right word, this dress did push me out of my comfort zone due it’s sixties styling; whilst I love classic details, the sixties aren’t usually a decade that I look to for inspiration as I tend to find that the styles just don’t suit me. 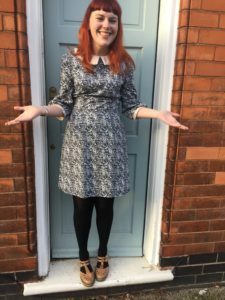 Making this dress has helped change that assumption somewhat (although I doubt I’ll be emulating Twiggy any time soon!). For some reason I couldn’t get the collar to stay put at the back, although that was fixed with a bit of invisible stitching. 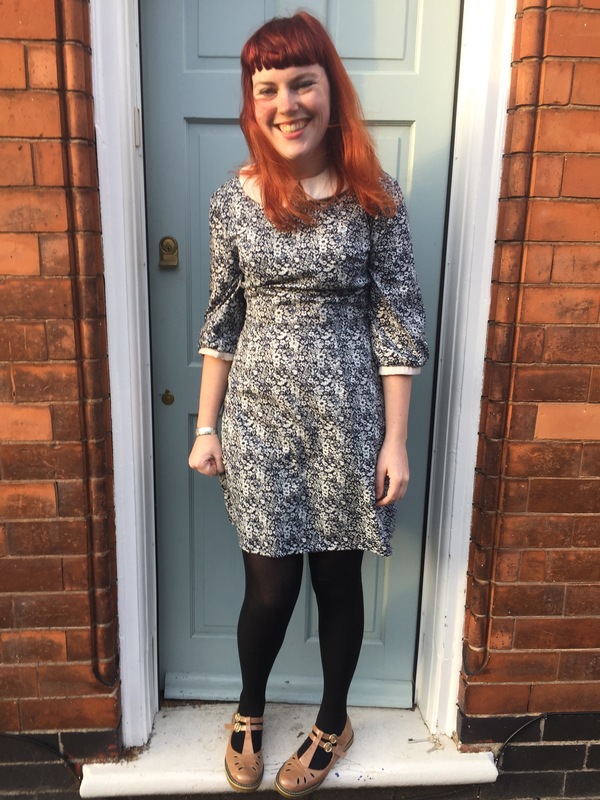 I found I had to make a really thin hem on the dress, which might have been a design feature (the 60s were all about the mini after all) but I think might be more to do with a combination of my height and personal preference to not show my bottom to the world! Disclaimer: whilst the Trudy pattern was provided by Simple Sew Patterns and the fabric generously provided by Abakhan, I received no other forms of payment for this blog post and the opinions expressed are my own. Next > A roarsome party dress! It looks cool. 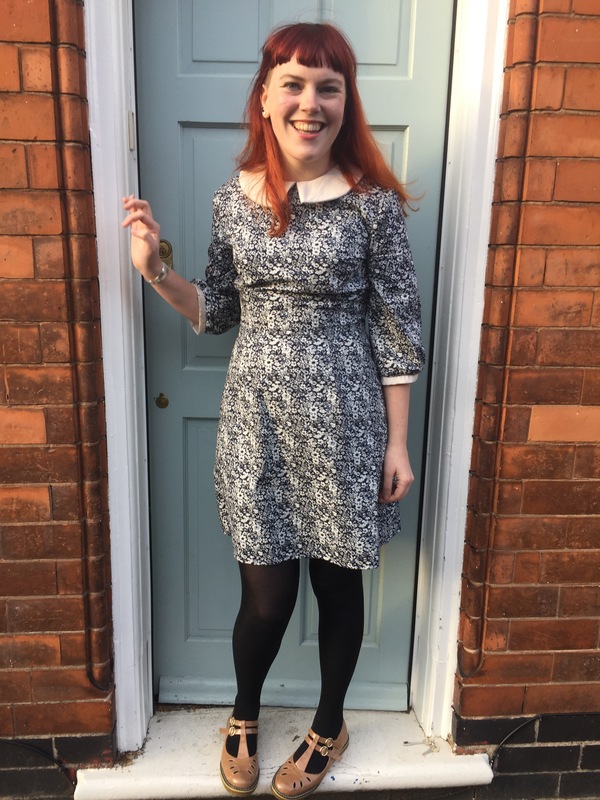 I like the collar and cute print! Pingback: Three months in… | More blue fabric?